NMWA’s third-floor galleries feature works by European artists Remedios Varo (1908–1963) and Leonora Carrington (1917–2011). In 20th-century Europe, critics often dismissed women artists working within the male-dominated Surrealist movement. World War II later forced many artists into self-exile, effectively ending the movement in Europe. Hailing from Spain and England, respectively, Varo and Carrington moved to Mexico, where they became involved in a thriving artistic community with fellow refugees from their European Surrealist circles. Both artists examined themes of fantasy, magic, and mysticism in their creations. While in Mexico, Varo and Carrington became close friends and collaborators. They explored the occult and alchemical practices—evidence of which can be detected in their works. Although they shared similar interests and inspirations, they developed their own distinctive styles. Abstract and cubist elements played a strong role in Varo’s paintings while fantastical creatures and animal hybrids populated Carrington’s works. Like many of Varo’s paintings, La Llamada (The Call) (1961) illustrates an ambiguous narrative. Depicted with large eyes and a long straight nose, the central figure may reference Varo’s own distinct facial features. The figure seems to walk fearlessly through a mysterious courtyard as though halfway through a momentous quest. Surrounded by otherworldly creatures, the glowing figure carries alchemical instruments containing precious liquids—symbols that allude to Varo’s belief in mystical forces. Uncanny perceptual distortions and her characteristic combination of vibrant and tarnished colors shape the dreamlike scene. Carrington also developed a personal symbolism that she chose not to explain to others. She intended her complex, densely layered images to be pondered—but not necessarily decoded—by the curious viewer. Primarily a painter, Carrington did not begin sculpting until the 1990s. Her sculpture The Ship of Cranes (2010) represents her adaptation of the Mayan belief that all humans have specific animal companions or guides. A ship fashioned after a crane carries four other anthropomorphic bird-like creatures in the midst of what may be a spiritual journey. 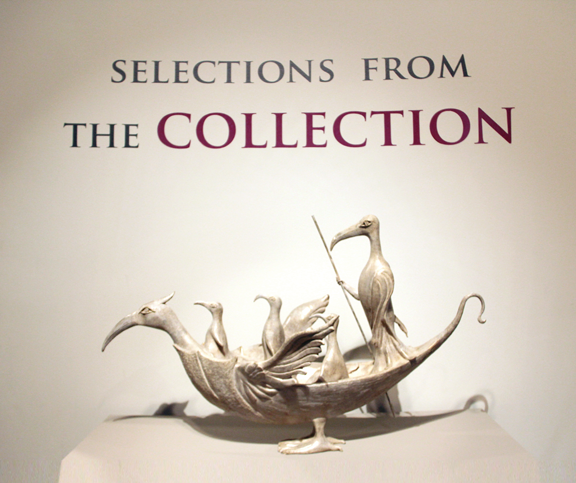 This sculpture in NMWA’s collection emphasizes Carrington’s belief in—and use of—animal symbolism. Both Varo and Carrington channeled the subconscious in their work. They employed recurring motifs that develop from their imaginations. The beings they created represent their influences and dreams. Their mystical and eerie works provide viewers with a glimpse into their minds—where personal, subconscious reality dominates. By communicating the incommunicable, Varo’s and Carrington’s works transcend the esoteric.